In addition to always wanting to brew better tasting beers, most homebrewers are in search of an illusive clear beer. Whirlfloc is an easy first step to significantly clearer beers. Of course there’s nothing wrong with a cloudy beer; sometimes a perfectly transparent glass of beer just doesn’t convey that craft beer image. But if you’re like me, you always want clearer beer with no added effort and don’t want to resort to filtering. Recirculating on the RoboBrew is one way to get clear wort into your fermenter. You can do this either with a pump-based system, or just through regular vorlauf during the mash process while being careful not to disturb the grain bed. Even with just a jug and a sieve in the top of the malt basket to slow the flow — and a bit of patience — you can have pretty clear wort come time to boil. The other way is through the use of Whirlfloc, an additive that can be added at the end of the boil. 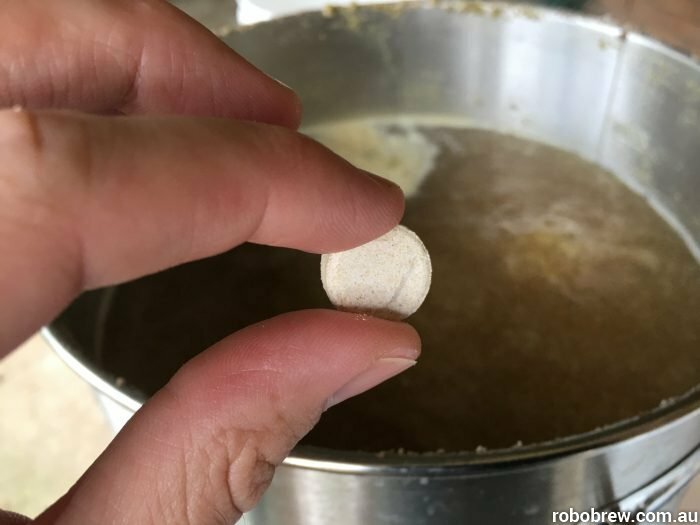 These small tablets — available at most homebrew shops — attract some of the haze causing substances (namely proteins), binds them together and sinks them down into the trub so they won’t make it into your fermenter. It’s cheap: working out to around 30c per tablet at most homebrew shops, and half a tablet per RoboBrew batch is generally all you need. The above glass of beer (a Sierra Nevada style Pale Ale with generous amounts of Cascade hops) is clear thanks to recirculation during mash, the addition of Whirlfloc during the boil and a cold crash at the end of fermentation. It was kegged (force carbonated), and then bottled in a growler to take camping. A respectably clear schooner that would hold up against any commercially filtered beer. Whirlfloc should be added with about 10 minutes to go on the boil. Join our mailing list to be notified of new Robobrew recipes, accessories and more. Should I Upgrade to a RoboBrew Generation 3? Generation 3 RoboBrew is now here! 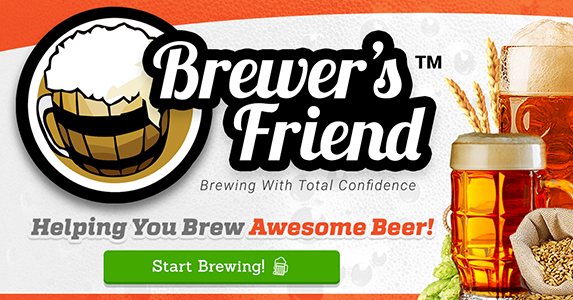 This is one brewer's thoughts on the homebrew journey with the RoboBrew. Free Robobrew recipes, tips and info in your inbox!